(Recto) lower right, below image, in pencil: "Song Yongping"
(Recto) lower left, under image, in pencil: "my parents" ["我的父母"] 5 [encircled] 3/10 1998-2001"
Middle aged couple standing in front of a bed, wearing a fancy wedding dress and a black tuxedo. Song, Yongping, Chinese, born 1961 (Beijing, China; Shanxi Province, China), sold to AW Asia, 2005. AW Asia (New York, New York), sold to the J. Paul Getty Museum, 2010. 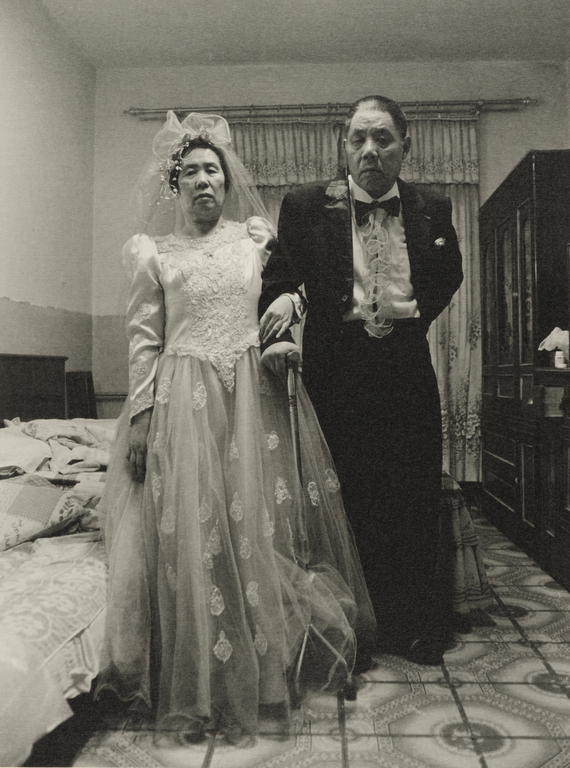 The Chinese: Photography and Video from China, exh.cat. (Wolfsburg: Kunstmuseum Wolfsburg, 2004), p. 55.